Maintaining and upgrading a security system requires a defined, comprehensive process for updating and implementing that is both repeatable and measurable. 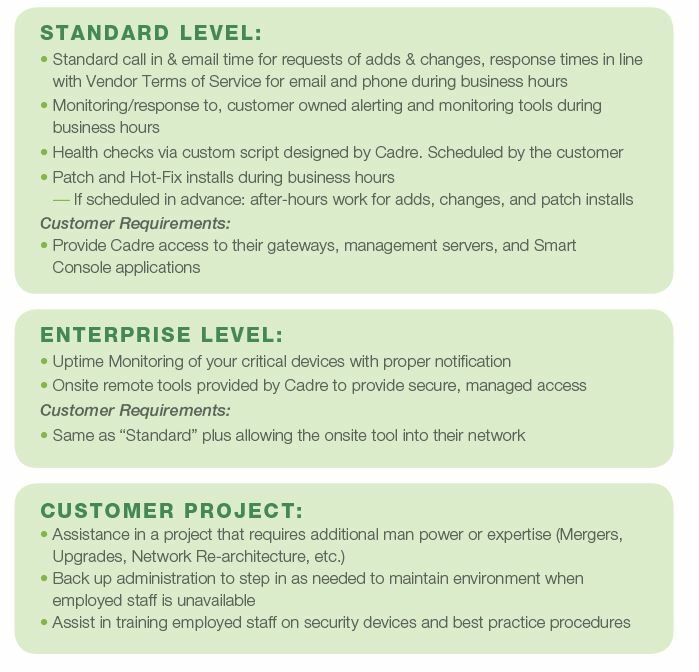 Having worked in thousands of environments, Cadre has developed strategies that simplify these processes and allows for faster, more efficient, and maximum security. Let your organization benefit from the most reliable and trusted security policies, procedures and controls to best protect your information. With our managed services team on your side, we provide several hassle-free options for your business.